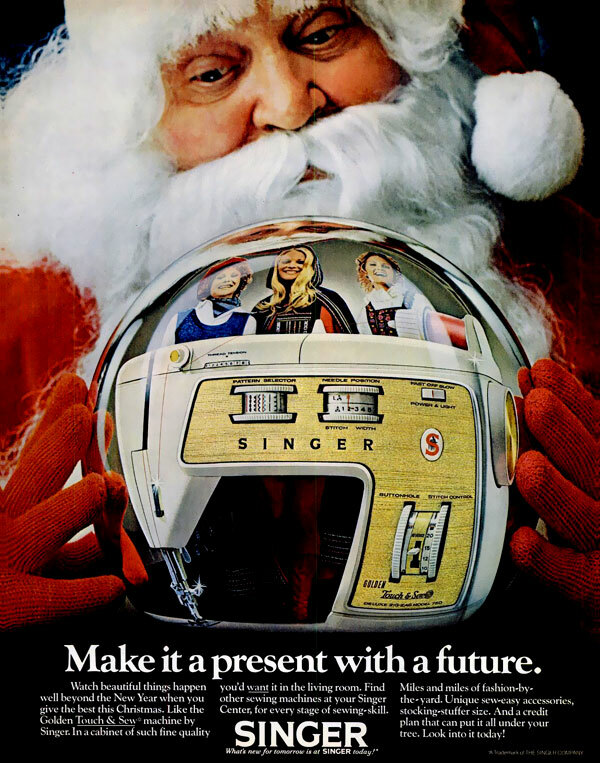 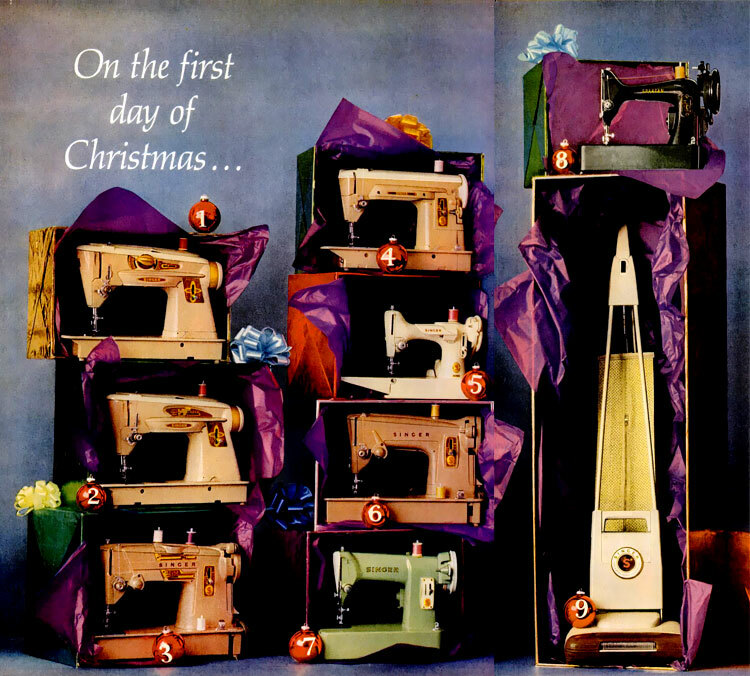 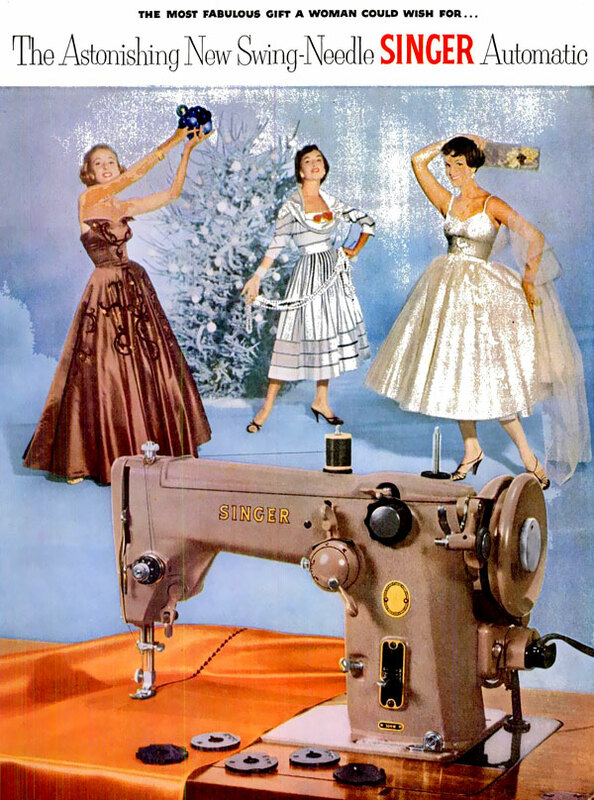 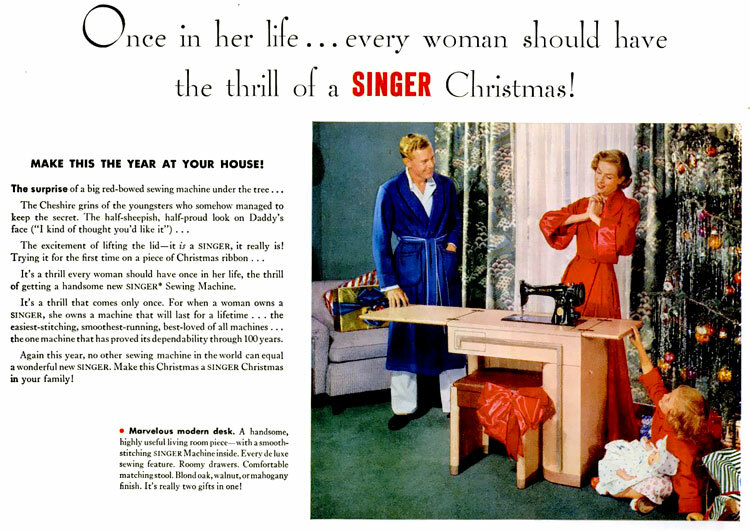 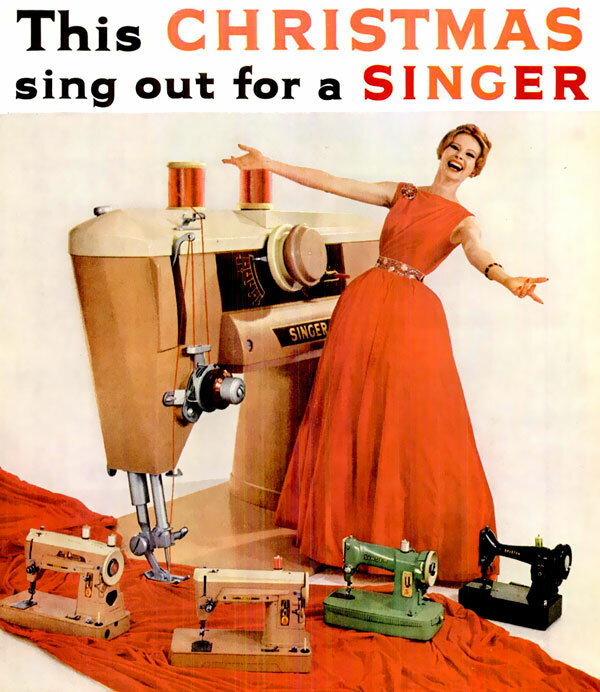 Here are a few Christmas Singer sewing machine adverts from 1950 to 1971. 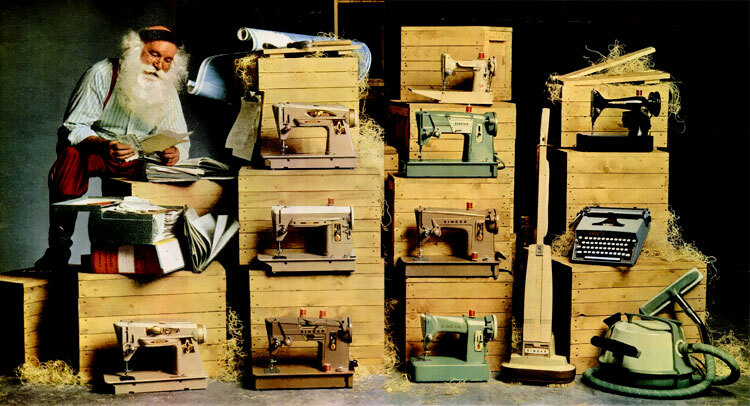 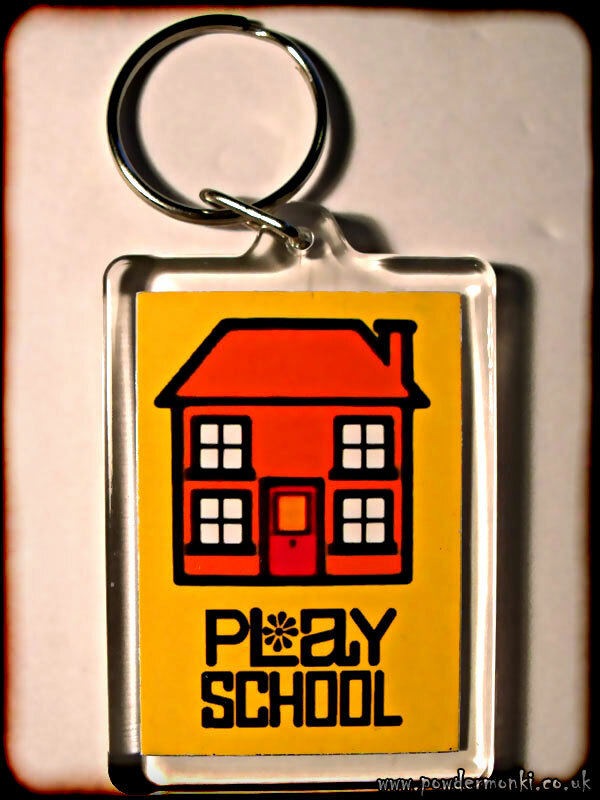 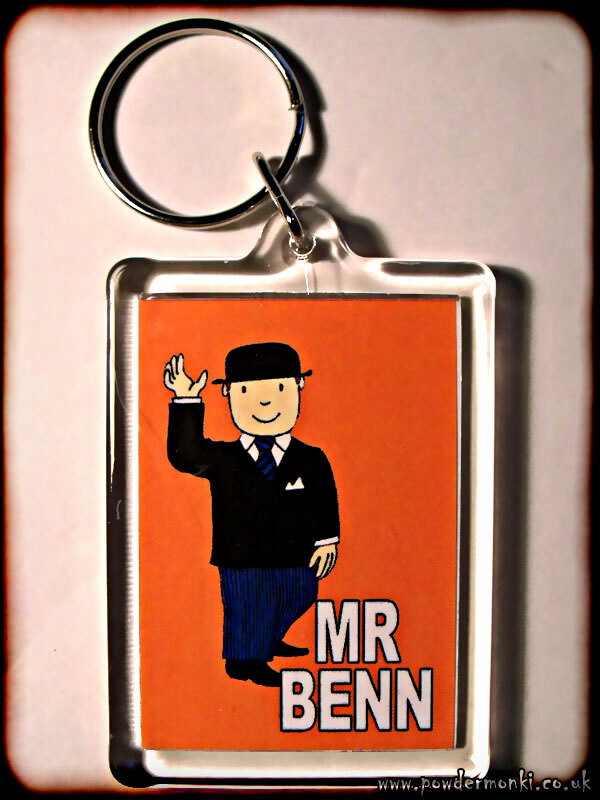 I’ve edited or cropped some of them as they featured either a lot of text or other non sewing machine items. 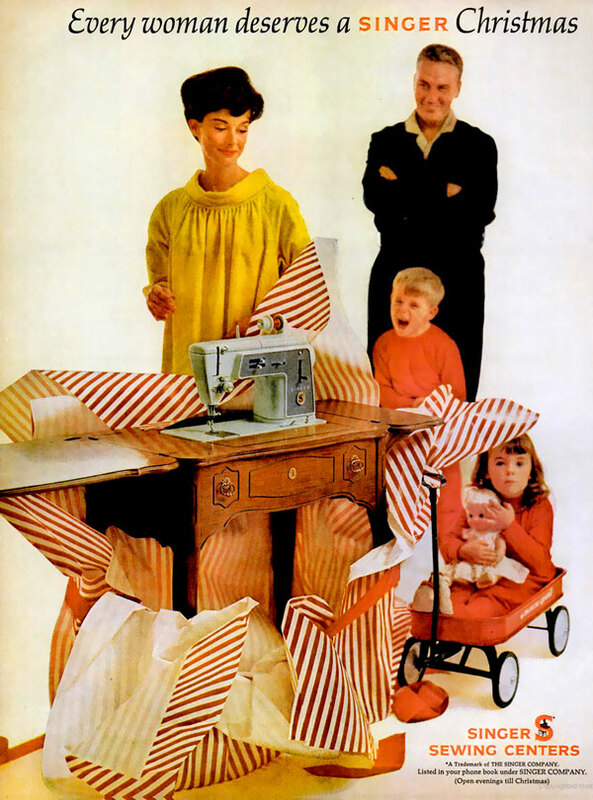 These children do not appear to be happy with the prospect of matching yolk coloured smocks.